We have all been affected by it or we will be affected by it. We might be the ones giving out the punishment as well. However, snoring is a universal problem that has caused quite a pain to everyone. It is hard to go to sleep when your partner is conducting a snoring-orchestra in the middle of the night. The solution to this problem is finally here in the form of Silent Partner – the first smart noise cancelling product. This amazing gadget amassed over 1000% of the initial goal of $40,000 on Indiegogo crowdfunding campaign thanks to it’s amazing utility. Silent Partner is so effective because it focuses on one thing that is common in all kinds of snoring problems; the sound. 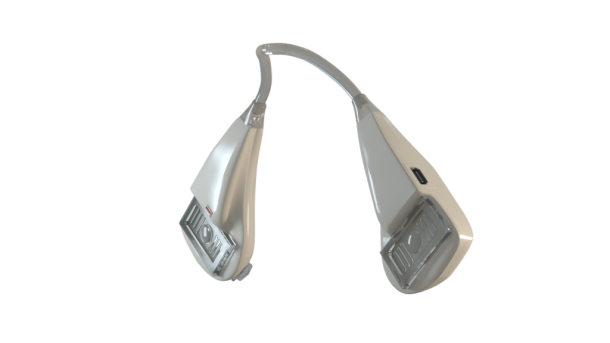 It makes use of a micro Smart patch that is capable of adhering to the nose and then works by cancelling out the sound waves being produced by snoring. It emits acoustic sound waves, that counter the noise and hence, silence the snoring. It makes use of a small hearing aid battery that can be charged and is capable of providing power for a single night on a full charge. It takes about three hours to charge and according to the company, should be charged every day. It has been designed so that it is functional and comfortable. The adhesives are medical grade hypoallergenic to cater those with sensitive skin as well. The gadget currently costs $59 with optional add-ons whereas the scheduled date for delivery is November 2016 if all goes well.